SHEARING shed working conditions are "appalling” and "very little has improved in 100 years”. That's the belief of shearing contractor Brendan Sullivan, a third-generation shearer from Balnarring who runs shearing business Austshear. "They need a whole overhaul of the industry itself as far as occupational health and safety goes,” he said. Mr Sullivan, who says he would support drug testing in shearing sheds, said there were health and safety issues facing shearers in both the woolsheds and accommodation. He said people did not complain because "they're frightened of losing their job”. "We go to places, and I make them go hire toilets because there's still pit toilets out there ... they still exist and that's crazy,” he said. As well as occupational health and safety concerns, Mr Sullivan said there were also issues surrounding wages and employers adhering to the Pastoral Award. 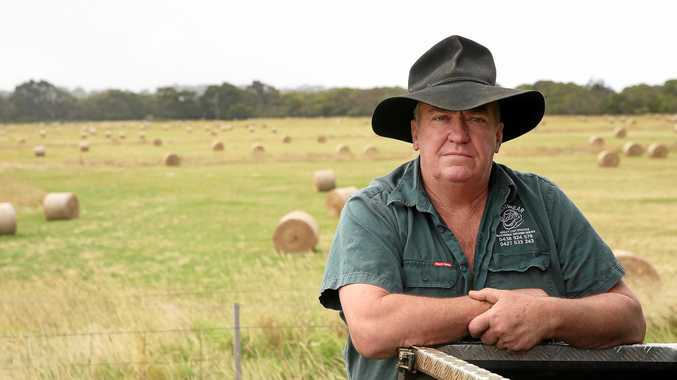 "Not all farmers are in the same boat, but there's a hell of a lot that will turn a blind eye to these issues and the working conditions that they wouldn't allow in any other industry,” Mr Sullivan said. A Safe Work NSW spokesman said there were 349 workers compensation claims for sheep shearers at a cost of $13 million from July 2013 to June 2016. SafeWork NSW's agriculture work health and safety sector plan said it would work with the shearing industry, which has an average time loss of 18 weeks per claim - over twice the industry average. SHEARING contractors are calling for a ban on the use of old-fashioned overhead and exposed shearing equipment following two serious injuries. The call follows an incident in NSW in November when a young woman was scalped after her hair was caught in the drive shaft of overhead shearing equipment. Safe Work NSW is investigating. Six years earlier, a similar incident occurred in Queensland when an overseas worker was scalped. The Shearing Contractors' Association of Australia says it will lobby Safe Work NSW to prohibit the use of overhead shaft gears, which are run by a motor with a belt drive. SCAA secretary Jason Letchford said it was a "completely resolvable situation”. "We have the technology at a very low commercial cost to either shearing contractors or to farmers to completely eliminate this type of accident,” Mr Letchford said. Mr Letchford said it was estimated less than 20 per cent of working sheds still used overhead shaft gears. Australian Workers' Union organiser in Victoria, Darren Cameron, said with wool currently at strong prices there was "no excuse from the union's point of view not to eliminate overhead gear”. Victorian Farmers' Federation livestock president Leonard Vallance said banning overhead shearing equipment was "possibly not the right way”. "There is a requirement under WorkSafe to have all exposed equipment guarded to a reasonable degree, but there is also a responsibility for employees that they have no loose clothing and their hair is restrained,” he said. Mr Cameron said safety standards in shearing sheds in Australia were "appalling” and that there were other issues in the industry. They included accommodation that was "disgraceful and unhygienic”, drug use, poor shed design, not enough time between penning-up and shearing, and heat, saying "we don't believe there is any reason simple air conditioning can't be installed in shearing sheds now”. "Unfortunately, shearing is an iconic industry and everyone thinks shearers are supermen and superwomen, they're tough and can take any amount of pain,” Mr Cameron said. Mr Vallance also said this was a good time for farmers to think about safety. "The sheep industry is as buoyant as it has been in a generation and farmers need to be aware they have a responsibility to maintain their equipment,” he said.